Mother Nature knows how to do it best. Here's our collection of chopsticks made from natural bamboo and natural wood. 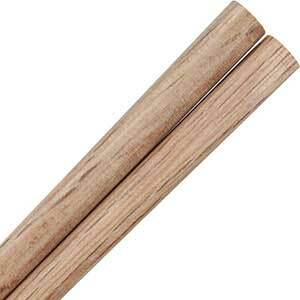 These chopsticks exemplify the beauty of nature with their wood tones and wood grain. In most cultures simple, natural chopsticks are the utensil most used in the household. 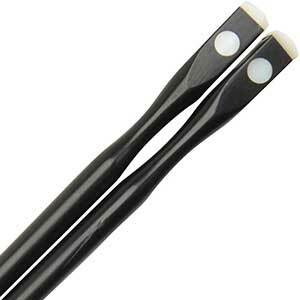 Ebony Hourglass Chopsticks with one Oyster Shell Dot each side and shell crown. These chopsticks are are 9-3/4 inches long with smooth tips and square ends. A beautiful and unique chopstick, a perfect addition for your collection! Made in Vietnam. 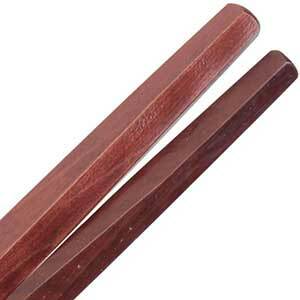 Rosewood chopsticks carved on five sides. Chopsticks are 9 inches long with angled tips and pentagon ends. The carved sides encompass the entire chopstick. Beautiful and unique chopsticks. These five-sided natural wood chopsticks are Chinese made.THREE PAIRS LEFT! Light wood Japanese style chopsticks, perfect for engraving, are a nice natural chopstick for everyday use. Clear lacquered. 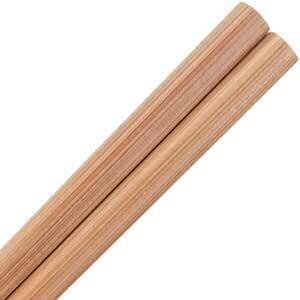 These high-quality wooden chopsticks have a blended profile handle and smooth tips. 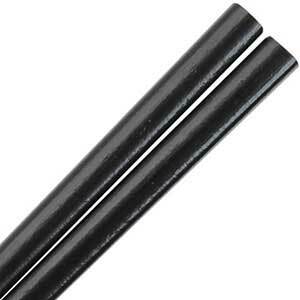 Chopsticks are 9 inches long. Made in China. 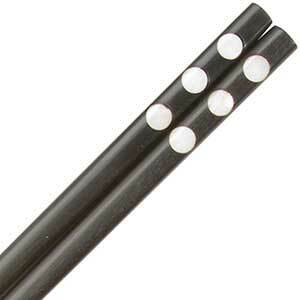 Lightly clear lacquered twisted bamboo Japanese style chopsticks. 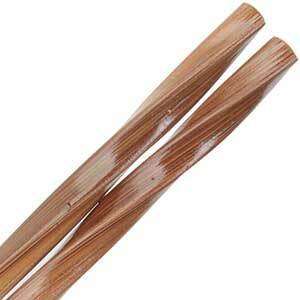 These twisted bamboo chopsticks are 9 inches long with smooth tips and blended profile handles. An elegant natural chopstick with beautiful bamboo grain. Made in China. 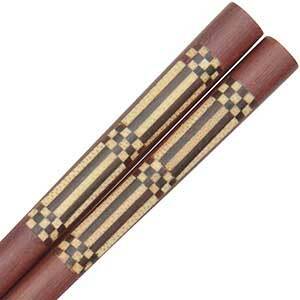 Wooden Japanese Style Chopsticks with Checkerboard and Vertical Lines Inlay. 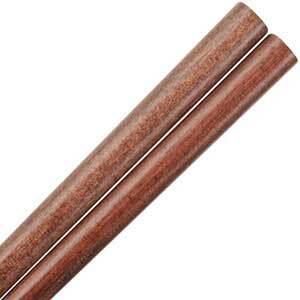 Brown, wood chopsticks, 9 inches in length with smooth tips. Beautiful layered wood at the end. Made in China.